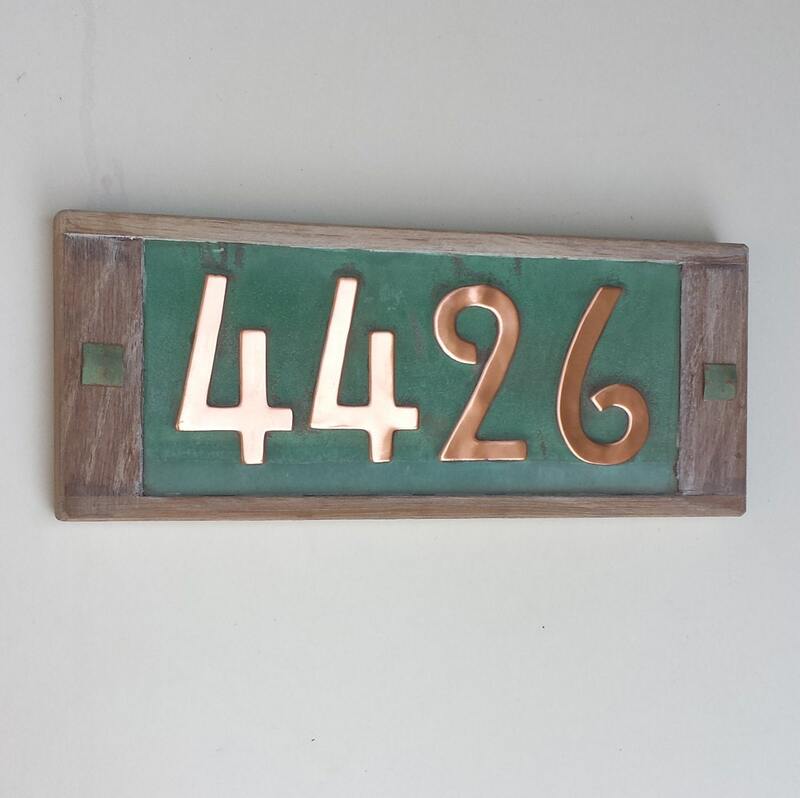 4 x 3"/75mm or 4"/100mm high numbers house number sign in Hill House, a Mission/Mackintosh font made from copper - this is a 99% recycled product. The copper is glued to plywood and framed with limed oak. The copper tabs left and right cover the fitting screws for wood or masonry. All fittings supplied including wall plugs. The polished copper numbers are laquered, the patinated surround is left 'as is' and will improve further with age and humidity. 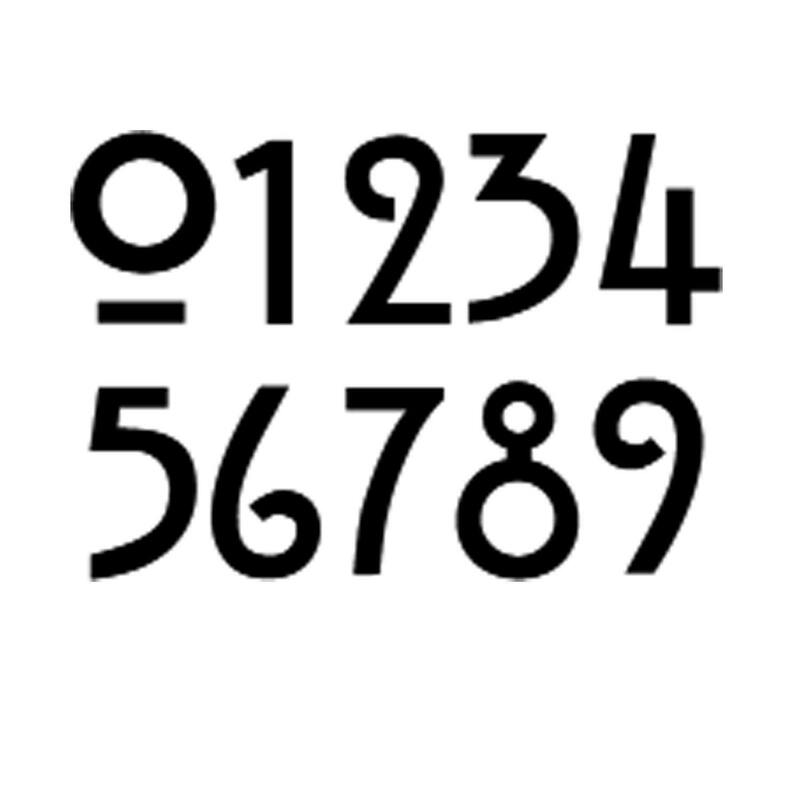 7963 in 4" high numbers - approx 13 x 5.5"
- in 3" vertical format - Size approx 42 x 10cms/16.5 x 3.75"
Gorgeous. Received quickly all the way from the UK to the Bay Area. Visible and lovely to look at. Thank you! Top craftsmanship! Beautiful work. 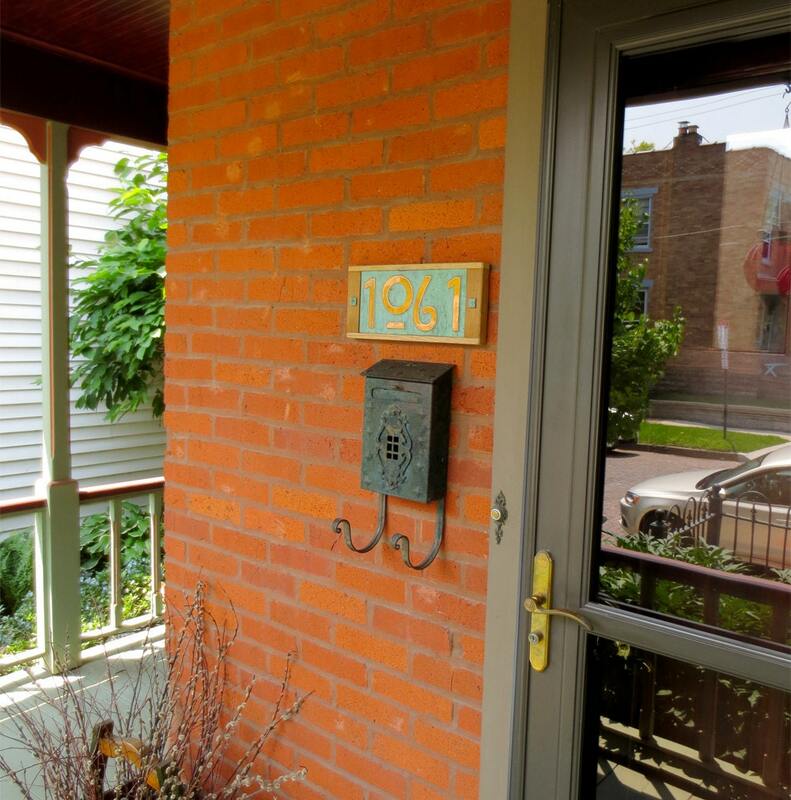 I wish I had more than one home to get another sign for! Great to work with as well. Highest integrity and professionalism. 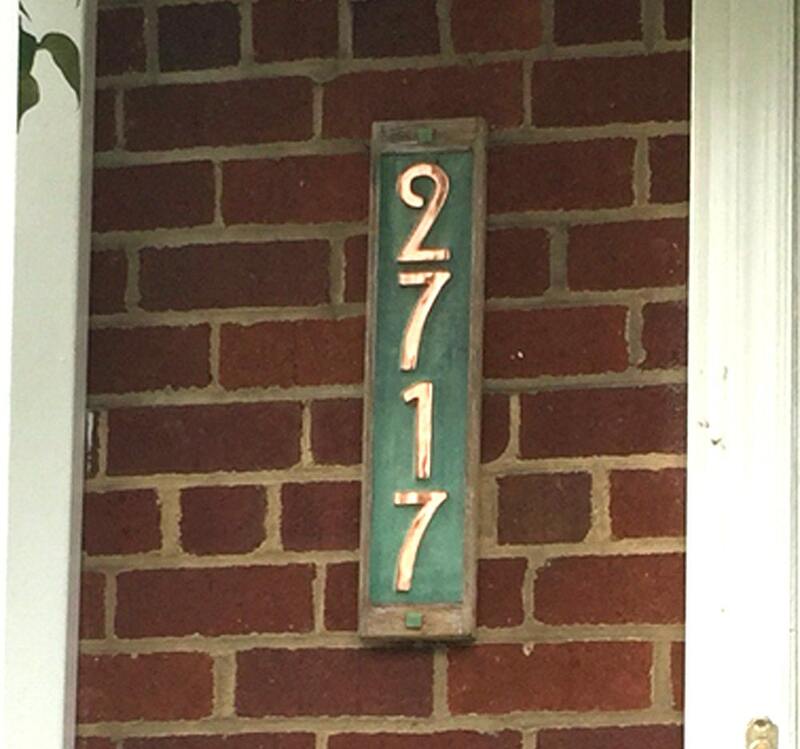 I bought a house number as a gift for my cousin's wedding. She was absolutely thrilled! 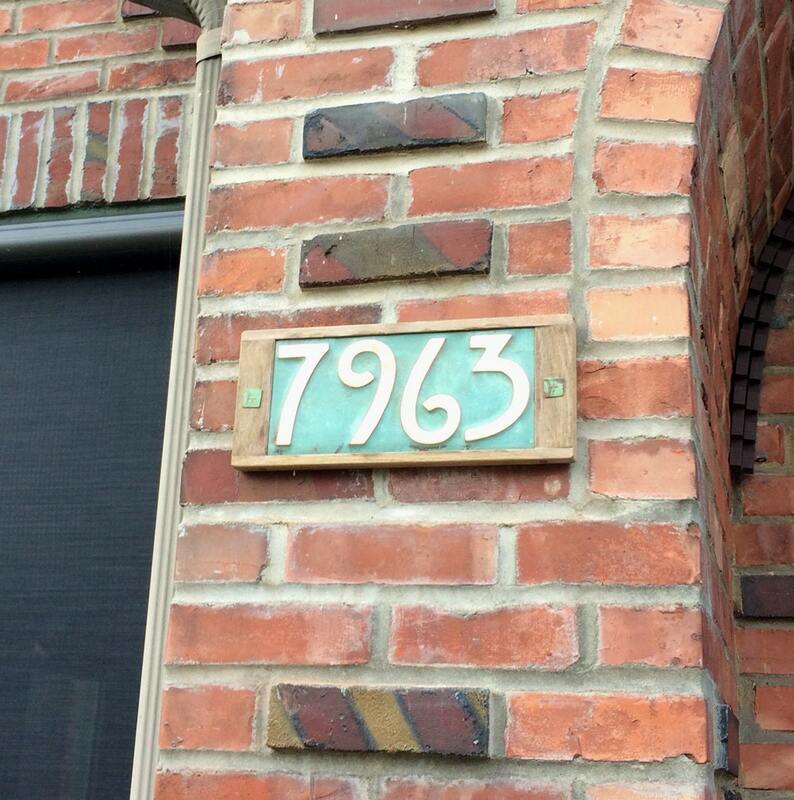 The house number is beautiful! Very solid, well made, and classy. Thank you!